Keble is a large college that caters for all interests, and no matter what your ability anyone can get involved. 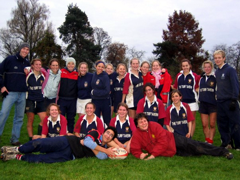 Many come to Keble and take up something new, whether it be ultimate Frisbee, the girls’ rugby team, life drawing, or dancesport. What’s more, if there isn’t a society in college that you’d like to see then you can easily set it up. With a choir that tours to Japan and the USA, a top of the university league rugby team, a leading dancesport group, and winning ladies football, Keble excels in many areas! 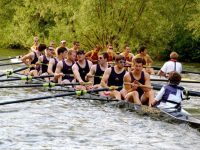 The numerous clubs and societies reflect the ‘work hard – play hard’ ethos of the typical Keble student, and contribute to a lively community within which Geographers play no small part. Your experience of college life will depend entirely on your own personal preferences. If you want to get involved with the running of college and the JCR (the undergraduate body) you can opt for a JCR committee position. You could be on the charities committee and organise fundraising events, or the ‘entz’ committee which arranges social events on a regular basis. You may be committed to a university team, the Oxford Union, or a theatre production, so spend less time in college. However you choose to live your three years in Keble there are countless opportunities and definitely no dangers of boredom! The vibrant undergraduate community in Keble means there are numerous social events: an annual ball, and many bar evenings – quizzes, fancy dress ‘bops’, jazz nights and more! On any evening you may choose to have a quiet drink in the bar with friends, watch tv in the JCR, or go to see whatever is on at the O’Reilly theatre, so there’s really no need to leave college if you don’t feel like it. Hall provides breakfast, lunch and dinner most days, and brunch and dinner on Saturday/Sunday. It is run on a swipe card system and online booking for dinner, so you only pay for what you eat/when you go. Menus are displayed online the week before, with a good choice of food at lunch and as much ‘veg’ and ‘carbs’ as you please with dinner. Keble is just 5minutes’ walk from town, and across the road from North Oxford’s Jericho with its bars, cafes and ice cream parlour. Oxford has a fairly compact city centre with all the usual shops, a famous covered market, many restaurants and pubs, and a collection of medium-sized clubs. The city has a lively night life with lots of students about from both Oxford and Brookes. During the long vacations, most students will head home although third years are allowed accommodation through the whole year. 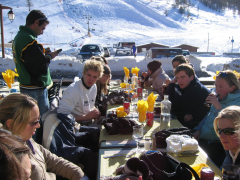 To fill in the Christmas holiday, Keble ski trip provides a popular escape to the slopes for beginners to pros, at a very reasonable student price.